OLD PARKED CARS. : 1984 Pontiac 1000. 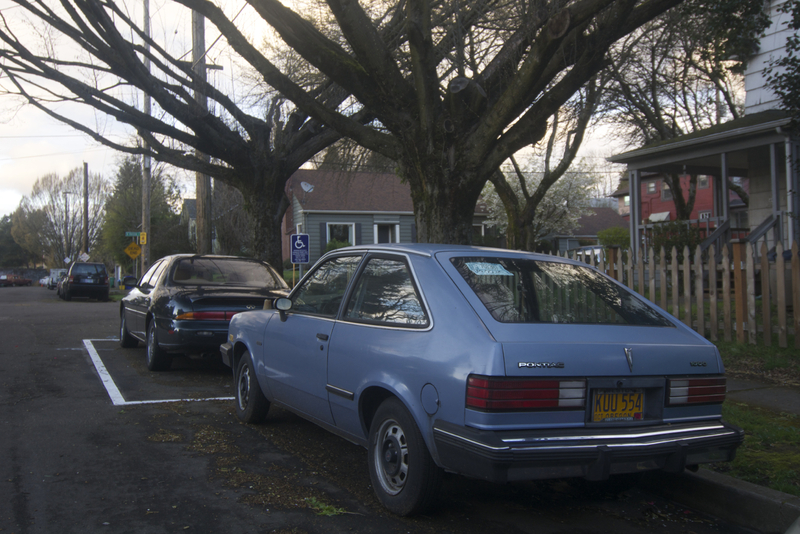 Can't say much for the T-100 other than "it's rare", but that J30 in front of it is nice. its tail lights eerily similar to that of a Vixen RV. That's because they are the same taillights. RV companies always use car/truck head and tail lights from various manufacturers. a t-1000 has been on my bucket list for so many years. i didn't know there was something called a 1000! it's surprising how few chevettes we've seen, too. the fact that this isn't a washington state find really impresses me. that definitely looks like portland in the winter. did you have to wait to post these because your hard drive as dead? I think Pontiac dropped the "t" from the name in 83 or 84, when the j-2000 became the 2000 and so on. In Canada this was the Acadian. 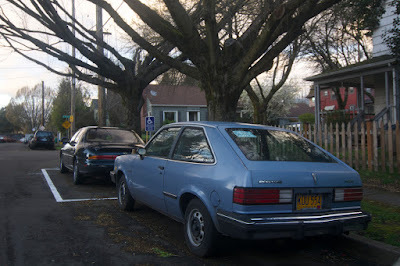 25 years ago this car was just a Chevette with Pontiac badges on it. Now it's somewhat interesting! Here in Canada, the T-1000/1000 was called the Acadian. Love these things, can't kill 'em. My first car in '81 was a 4dr T1000. Think I paid $6,200 for it brand new. 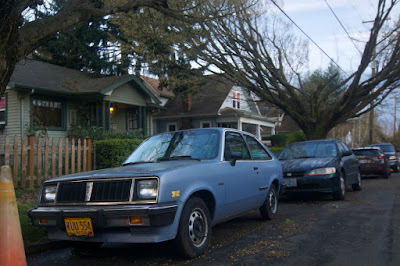 Totaled it and replaced it with an '82 - exact same car/color - one year newer. First one was solid, second one was a lemon. Major electrical issues from the start. Traded it in '85 for a VW GTI - big step up! 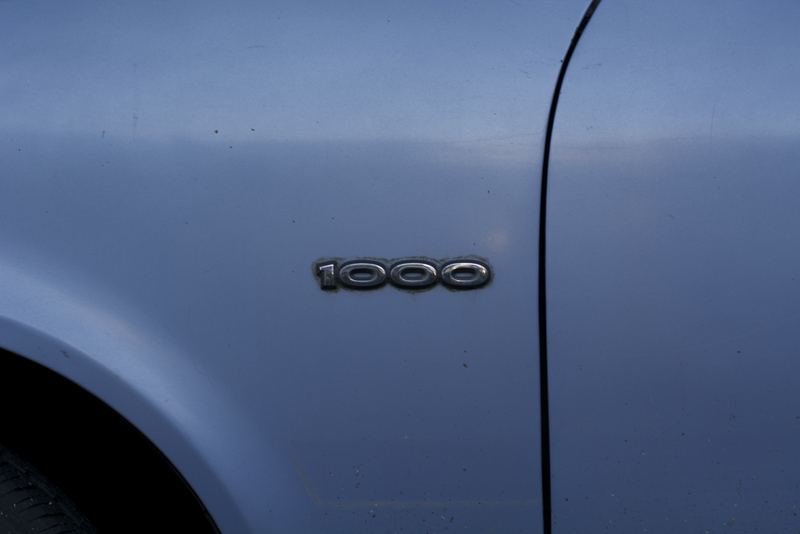 My sister's first car was a navy blue T-1000 which was passed to my mom then to me. I drove the wheels off of it occasionally testing the speed limiter! Very nice find! Hello! 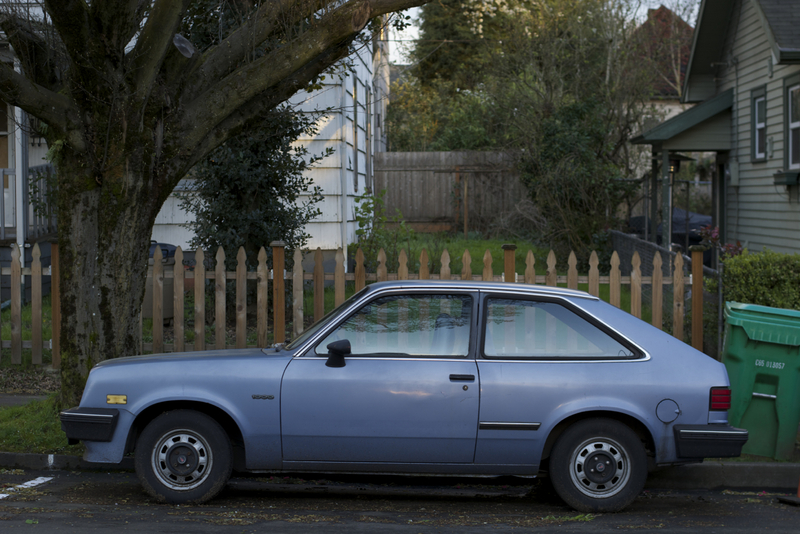 Your photo of the Plymouth 1000 is awesome! My name is Cynthia Hogan, I’m a Post Producer with MotorTrend and we’re currently working on a show and are interested in incorporating your photo into the episode. Please let me know if this is something you’d be open to!